Modular Model of Mind-Matter Manifestations (M5). Click to enlarge. Sensors, Filters, and the Source of Reality. Click to enlarge. 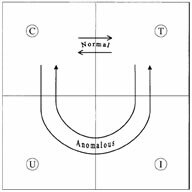 Nearly three decades of intense experimentation leave little doubt that the anomalous physical phenomena appearing in the PEAR studies are valid, and are significantly correlated with such subjective variables as intention, meaning, resonance, and uncertainty. The stark inconsistencies of these results with established physical and psychological presumptions place extraordinary demands on the development of competent new theoretical models for constructive dialogue with the empirical data. But since the contemporary scientific approach leaves little room for such subjective correlates in its mechanistic representations of reality, it follows that science as we know it either must exclude itself from study of such phenomena, even when they precipitate objectively observable physical effects, or broaden its methodology and conceptual vocabulary to embrace subjective experience in some systematic way. The primary importance of operator intention and emotional resonance with the task at hand, along with the operator-specific structure evident in the data, the absence of traditional learning patterns, and the lack of explicit space and time dependence clearly predicate that no direct application or minor alteration of existing physical or psychological frameworks will suffice. Rather, nothing less than a generously expanded scientific model of reality, one that allows consciousness a proactive role in the establishment of its experience of the physical world, will be required. The challenges and caveats of such a "Science of the Subjective" are explored in detail in several of our publications. One such model has been proposed and developed in "On the Quantum Mechanics of Consciousness, With Application to Anomalous Phenomena," under the major premise that the basic processes by which consciousness exchanges information with its environment, orders that information, and interprets it, also enable it to bias probabilistic systems and thereby to avail itself of some control over its reality. This model regards the concepts that underlie all physical models of reality, particularly those of observational quantum mechanics such as the principles of uncertainty, complementarity, exclusion, indistinguishability, and wave mechanical resonance, as fundamental characteristics of consciousness rather than as intrinsic features of an objective physical environment. In this view, the "anomalous" phenomena observed in the PEAR experiments become quite normal expectations of bonded human/machine and human/human systems, and the door is opened for all manner of creative consciousness/environment interactions. In a complementary approach, a modular conceptual framework has been articulated, wherein direct attention of the conscious mind to observable physical processes is bypassed altogether. 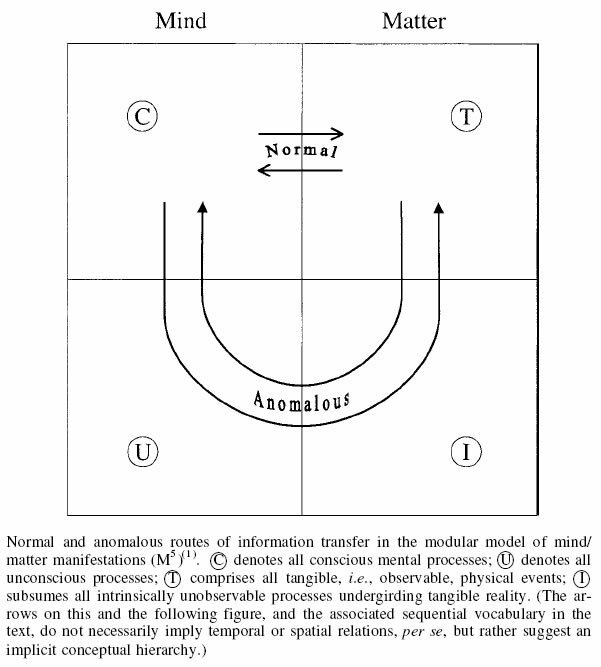 Instead, an alternative route is proposed, whereby the inherently probabilistic nature of unconscious mind and intangible physical mechanisms are invoked to achieve anomalous acquisition of information about, or anomalous influence upon, otherwise inaccessible material processes (see "A Modular Model of Mind/Matter Manifestations"). Theoretical requisites for its pursuit include better understanding of the dialogue between the conscious and unconscious aspects of the mind; more pragmatic formulations of the relations between tangible and intangible physical processes; and most importantly, cogent representation of the merging of mental and material dimensions into indistinguishability at their deepest levels. A rudimentary attempt to represent this latter "subliminal seed space" has been attempted in the format of an array of complex vectors whose components embody the pre-objective and pre-subjective aspects of their interactions (M*: Vector Representation of the Subliminal Seed Regime of M5). Elementary algebraic arguments predict that the degree of anomalous correlation between the emergent conscious experiences and the corresponding tangible events depends only on the alignment of these interacting vectors, i.e., on the correspondence of the ratios of their individual "hard" and "soft" coordinates. This in turn suggests a subconscious alignment strategy based on need, desire, shared purpose, or personal resonance that is consistent with our empirical experience. 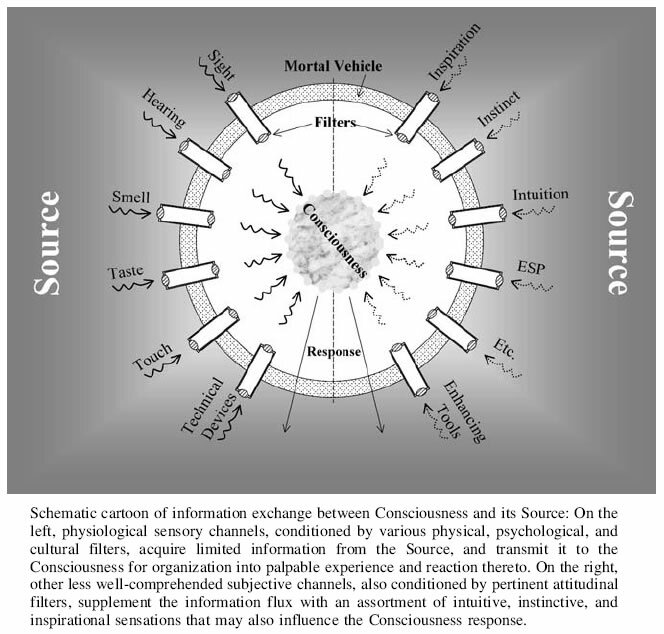 In another closely related approach, entitled "Sensors, Filters, and the Source of Reality," we speak of the need to elevate the subjective capacities of consciousness to complementary status with the more objective physical senses, along with recognition of the bi-directional capabilities of both, thereby allowing establishment of resonant channels of communication between the mind and its ultimate Source that can exceed conventional information processing. The key elements in tuning these channels to amplify such information creation are the physiological and psychological filters imposed upon them, some of which can be enhanced or altered by conscious or unconscious attention. Although the concepts and mechanics presented in this array of specific models may seem somewhat disparate, their larger value may lie in the identification of certain common-denominator issues that arise in one form or another in all of them. Taken together, they can provide a comprehensive conceptual framework for an overarching "science of the subjective" that may one day support a yet more fundamental representation of the full panorama of human experience.